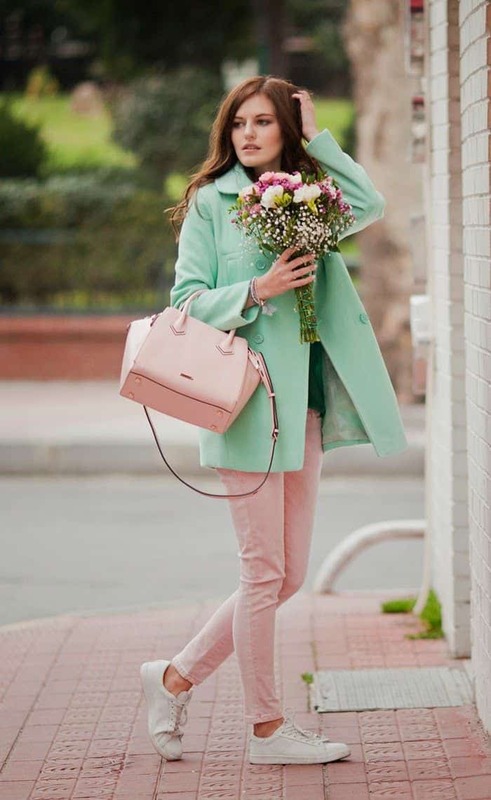 What is the color light green and what matching colors you can wear with it? This is a nice fresh cucumber shade rather whimsical in color combinations, but well-chosen matches produce a remarkable effect. 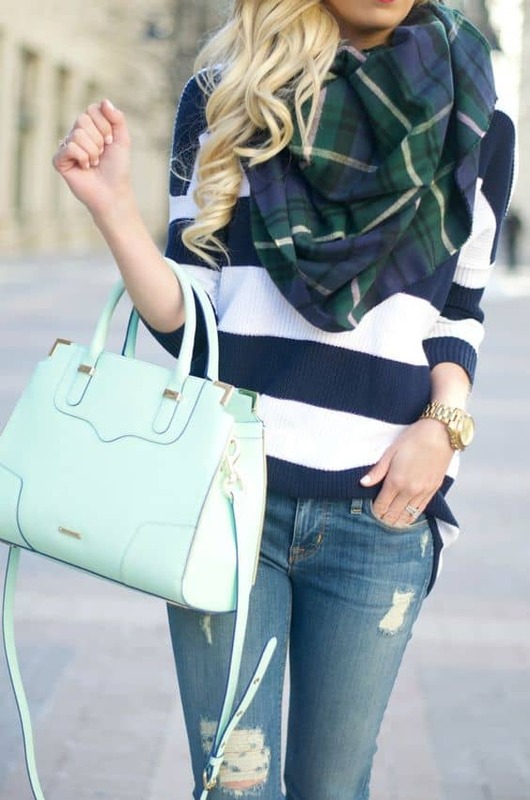 Color schemes with them let create really great combos, if you want your clothes go well with each other. Light green is the symbol of life, as is associated in our minds with the spring awakening of nature. It is the most pleasant and comfortable to the eye color. Furthermore, it has on the human calming, soothing effect. Green has the energy of nature, so that imbues us with the strength and vitality, reduces fatigue and increases our vitality. In the color wheel green color is between yellow and blue, so one of its shades refers to the warm tones, and the other — to the cold. Light green is more cold shades of green. All shades of green create a harmonious, successful combination with complementary white color in clothes for different purposes. Bright shades of green form with a spectacular combination of black tone, commonly used in evening dresses. Green and brown. This is a win-win combination. Harmonically, like nature itself, where both of these colors are combined in the trees. Cold chocolate brown, pink-brown, gray-brown combined with light green. 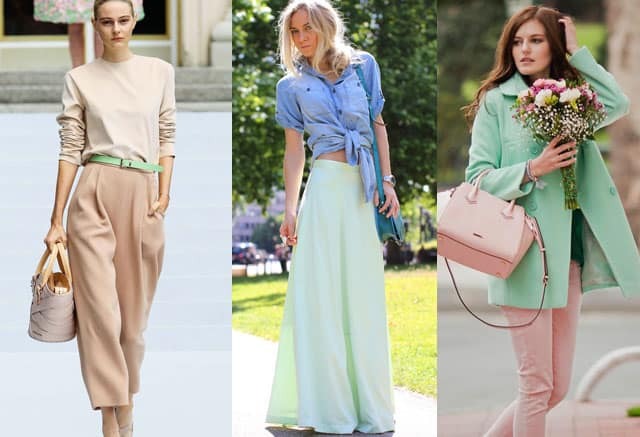 Cool shades of green combined with neutral beige, pink- and — purple beige, gray and beige.